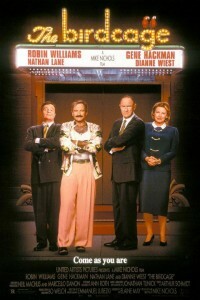 I was born in 1988, a full ten years after Robin Williams began his starring role in the sitcom Mork and Mindy. This means that Robin Williams has been one of the world’s most popular entertainers for my entire life. I remember watching reruns of the Mork and Mindy as a child, adoring the quirky Williams for his totally fun antics. What was incredible was that those antics amused everyone, no matter their age. Robin Williams didn’t fill a comedy niche; he simply was comedy in its purest form. If you stop and think about it, most celebrities are flashes in the pan. How many really remain relevant a decade after breaking onto the scene? Yet Robin Williams persisted for many decades in a way that felt like it could go on forever. 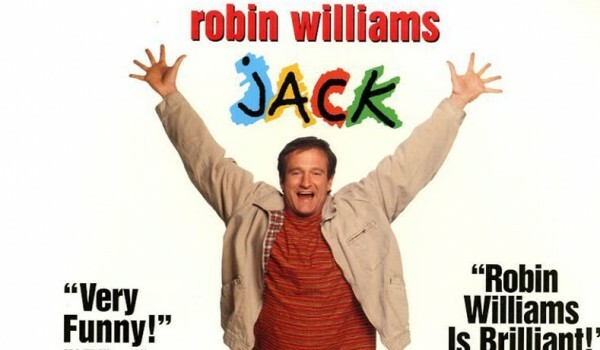 It is absolutely not an exaggeration to say that some of my absolute favorite movies ever include Aladdin, Jack, Hook, Mrs. Doubtfire, The Birdcage, Patch Adams, and Jumanji. Heck, I even thoroughly enjoyed RV and One Hour Photo, probably only because Robin Williams’s performances were spectacular and engaging. Robin Williams didn’t fill a comedy niche; he simply was comedy in its purest form. One memory in particular about Robin Williams stands out. Just a few weeks ago my wife and I had driven home to my parents’ house for the weekend. Katie and my dad had both already gone to bed, but my mom and I didn’t want to go to sleep; we’re both night owls. Flipping through the channels on TV as we chatted, I was reminded about why I don’t buy cable: there was nothing good on. Until I hit The Birdcage. At that point in my life I’d probably seen The Birdcage four or five times, as had my mother, so the punchlines and circumstances in the movie were hardly new to us. Nevertheless, I settled on it because it was better than the rest of the drivel that was on. Needless to say, that’s underselling it. Very quickly my mother and I were drawn in, and soon we were both laughing out loud. And to be honest, I rarely laugh out loud at movies. Yet there I was, giggling at the same jokes I’d laughed at time, and time again. Because that’s what Robin Williams did. He made you laugh. And when he wasn’t making you laugh, he made you care. Have you seen the movie Jack recently? Probably not, because it doesn’t get mentioned as much as some of Williams’s other work. But go give it another shot, and tell me you aren’t drawn to Williams as if he really, truly was a child. But apparently I didn’t know him. Everything I associate with Williams, barring this terrible news of his passing, is joyous and happy. He’s made my life, and the lives of literally billions of others, a measurably happier and more interesting place. And yet, he couldn’t appreciate and share in that same joy. It’s an unfathomable tragedy. It’s hard to know how to conclude a post like this, because nothing said could possibly correct or compensate for the loss of such an incredible person. I will simply end by saying that wherever Robin Williams is now, I hope he finds a fraction of the incredible joy that he has spread to the rest of us.